Dr. Lerner’s odyssey toward holistic dentistry began before he even thought of becoming a dentist. As a child, he had many cavities that resulted in repair with mercury silver fillings. It seemed that at every checkup, there were more mercury silver fillings to be placed. Then, as many kids do, Dr. Lerner broke a tooth in an accident and it had to be removed. The orthodontist decided to close the space by bringing his teeth all the way over to the front from the right to the left. His teeth ended up looking straight but his jaw was crooked. Dr. Lerner later learned that his crooked jaw led to a variety of problems – including head and neck aches. After graduating from dental school, Dr. Lerner began TMJ treatment. When the treatment finally brought relief, Dr. Lerner began his journey toward understanding the mouth-body connection in earnest and soon learned that the bite can affect much more than your mouth. Dr. David Lerner’s gained further insight in the form of a painful back pain due to shoveling too much snow without a proper shovel. The excruciating pain led to a quest for a cure. A quest that did not end until he met a practitioner of Applied Kinesiology and Sacral – Occipital Technique. This practitioner gave him relief with his very first treatment. 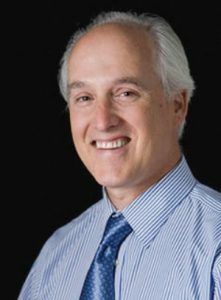 The treatments helped Dr. Lerner so much that he decided to begin his training in Holistic Dentistry. He soon became a practitioner of Applied Kinesiology and Sacral – Occipital Techniques. Although his back was feeling much better, Dr. Lerner still needed relief from lingering complications, which drove him to search for more answers. He found those answers in the office of a dentist trained in nutrition and acupuncture therapy. During a thorough analysis, this dentist discovered that Dr. David Lerner’s health issues and lack of energy were a result of childhood mercury-silver fillings. Once the fillings were removed, Dr. Lerner had much more energy and he felt he was finally moving toward ideal health. From that point on, Dr. David Lerner worked with many health practitioners in many health fields to improve his own health, increase his understanding of the mouth-body connection, and expanding his knowledge to better treat his patients. This thirst for knowledge has stayed with Dr. Lerner over the years and has resulted in an ever-expanding expertise in dentistry and the mouth-body connection. Dr. Lerner is now known as an authority on holistic dental health care. Patients come from all over Putnam County, Westchester County, and beyond, (even from Hawaii!) to seek his holistic dental care.